Where does Saffron spice yellow color come from? 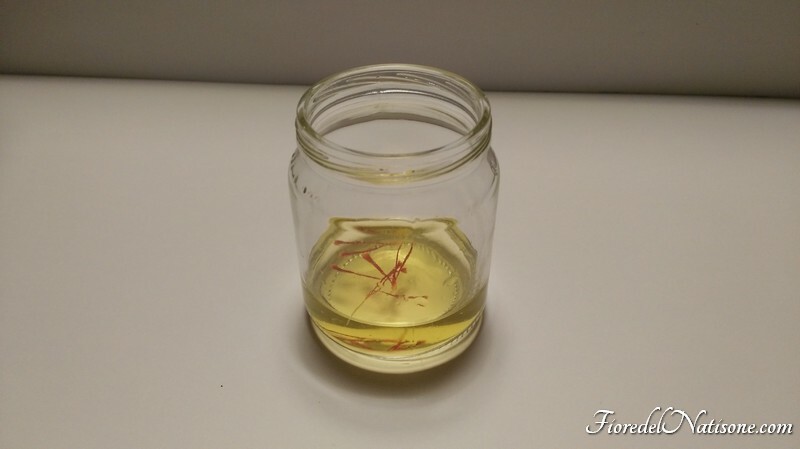 Have you ever wondered why RED Saffron spice is known for YELLOW color? 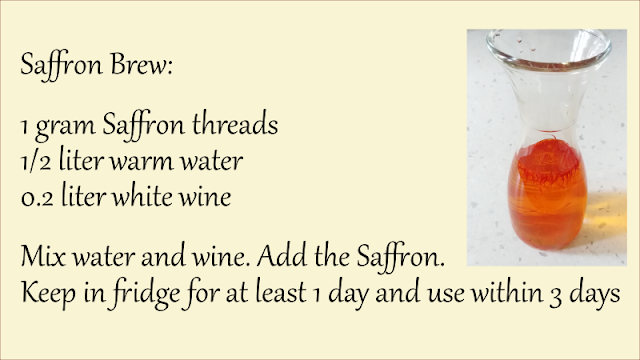 Because Saffron contains a very strong natural colourant called "Crocin" that is responsible for giving a brilliant yellow color to foods. 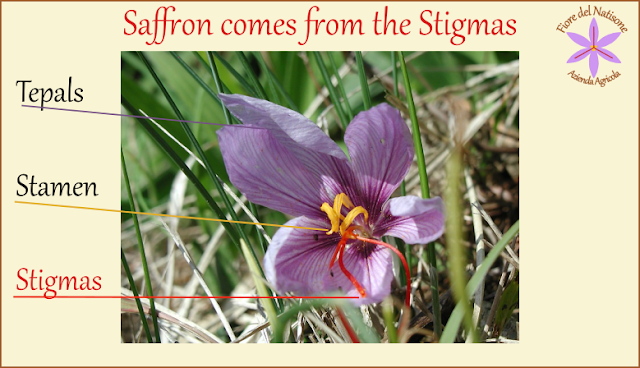 Saffron spice derives from the Crocus sativus plant flower, and has a very intense red color. 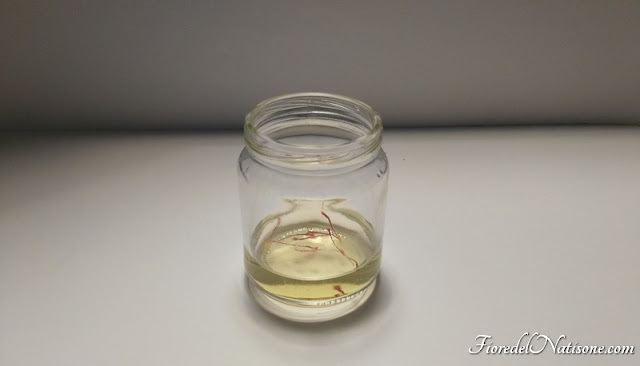 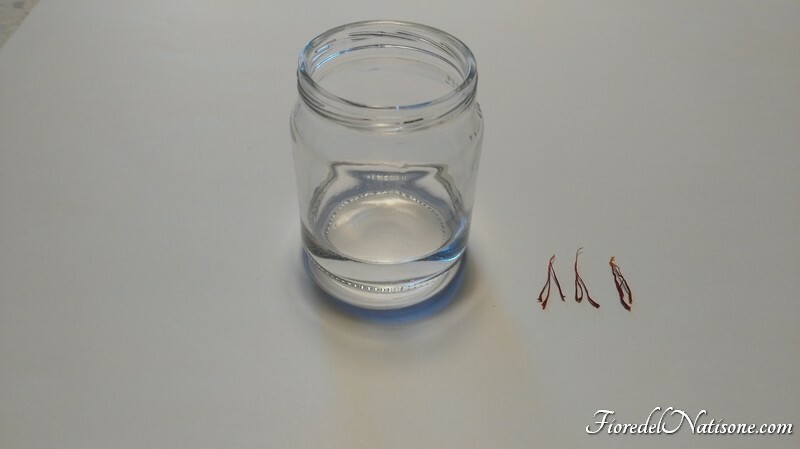 When we put some threads of Saffron in water, slowly the vegetal cells begin to release the Crocin they contain, as you can see below. 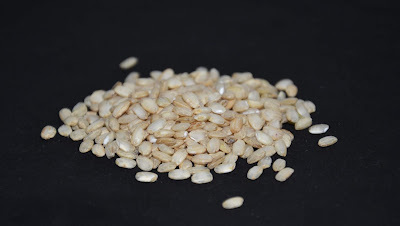 This is why the "Saffron risotto" for example is commonly known for his typical yellow color.